Note: This documentation is for PyKwiki 2.x. 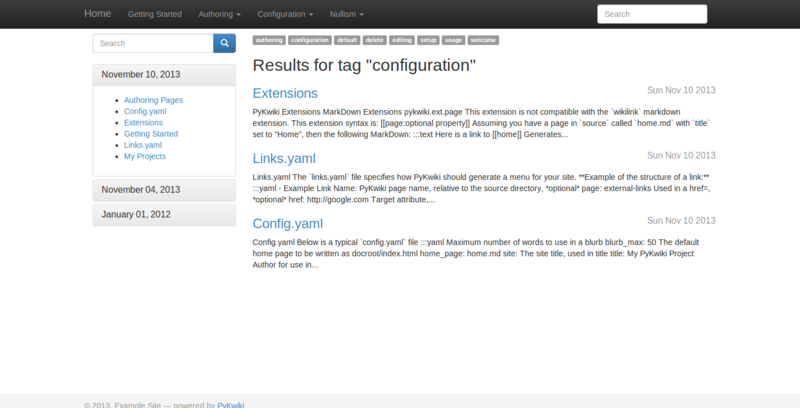 PyKwiki 1.x documentation can be found here. PyKwiki is a simple markdown-based static site generator suited for blogs and wikis. 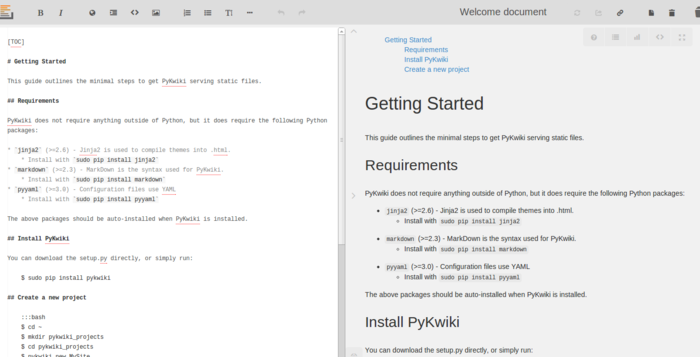 Pykwiki pages are authored in Markdown; the format of choice for sites like Reddit, Stack Overflow, Github, and others. 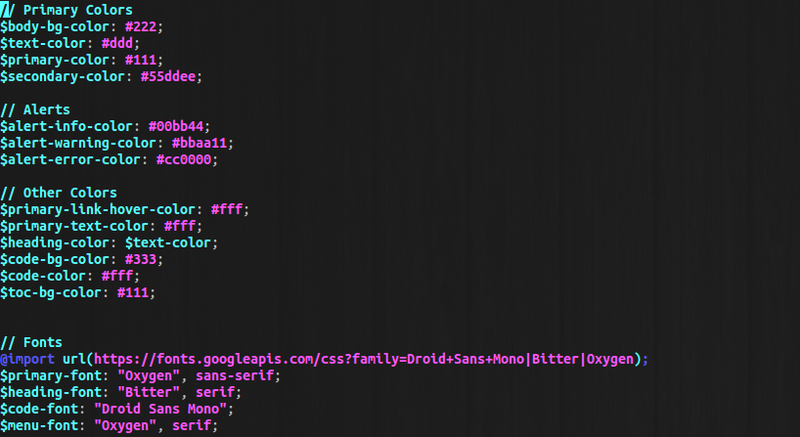 Easily customize the look and feel of your site using the power of scss.